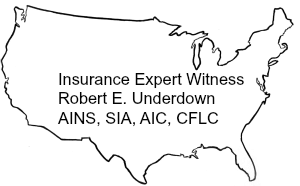 Mr. Underdown has experience in setting up captive insurance companies which are domiciled offshore. While the original idea in offshore captive formation was a tax savings, there are other more compelling reasons for setting up a captive. One of these reasons is to retain control over the reserving and handling of claims. As the Risk Manager for Rural/Metro Corporation, Mr. Underdown was part of an acquisition team that completed 60 acquisitions ranging in size, to $60 million in a 40-month period. In each case the acquisition target’s insurance program was reviewed, and the programs were then folded into the Rural/Metro corporate program. Mr. Underdown has experience in cost allocation of corporate risk management programs. In his position as Risk Manager, he was responsible for allocating the corporate insurance costs through the corporate budget. As part of the budget team, Mr. Underdown has always worked closely with the accounting department. In some instances, the data from the risk management department was used to design and operate safety incentive programs, as well as management bonus programs. As an experienced manager, Mr. Underdown has set up and organized several risk management departments. He has always selected, hired, and trained the professional staff, including workers’ compensation claims’ supervisors, liability claims’ supervisors, safety supervisors, and analysts. Often the loss control or safety function reports to the risk manager. In Mr. Underdown’s experience, this is a good fit from a management point of view, as the risk management function interfaces with loss control function in many ways. It is important to position the loss control function as part of the operational management team. As part of a well designed risk management program, it is important to develop a method of capturing loss and claims data for metrics to measure the risk performance of operating units. The risk performance statistics can be used for a variety of purposes, from budget allocations to safety incentive programs. Therefore, risk performance metrics are important; and it is necessary for the information to be maintained historically. The safety or loss control function often reports to the Risk Manager. In Mr. Underdown’s experience, this is a good fit from a management point of view, as the risk management function interfaces with loss control function in many ways. It is important to position the loss control function as part of the field management team and not to be regarded as the corporate policeman. Another design element for an effective loss control program is to use any and all incentives appropriate for the specific target employee group. The incentives will vary considerably depending on the employee group.